The Museum of Arts and Sciences (MAS) is proud to partner with the Macon Film Festival to bring the "Fulldome at Macon Film Festival" to the Mark Smith Planetarium. Renovated and re-opened in 2012, the MAS Planetarium features the industry’s leading projection technology – the Konica Minolta Super MediaGlobe II – plus a 44-foot dome, the largest in Central Georgia or within a 100-mile radius of Macon. This state-of-the-art digital system, the first installation in Georgia and only third in the U.S., incorporates a new standard in projection. Building on the success of its traditional astronomy programming, the MAS is a leader in delivering unique immersive artistic multimedia experiences in its full-dome venue. As planetariums across the world become more technologically advanced, artistic expression on the dome is becoming very popular and much of the work in this immersive medium is quite stunning. The MAS encourages others in the planetarium field, universities, museums, creative artists, and film producers to explore and embrace full dome projection technology as an educational tool and immersive art form. The 2018 Fulldome at Macon Film Festival will begin on Thursday, August 16 at 7:30 pm with a special screening of M.O.D.E., a compilation of four films created by artist Diana Reichenbach. The feature film in this series, SONOLUMIN, is a film newly commissioned by MAS and the Knight Foundation. 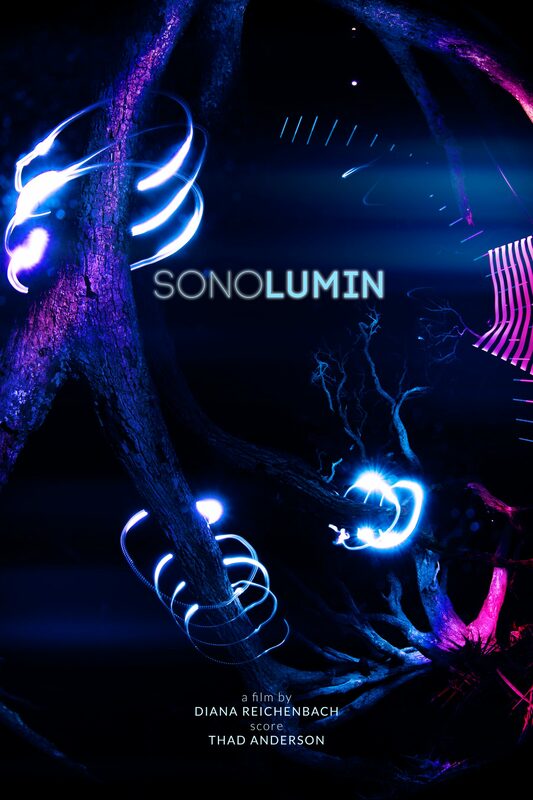 SONOLUMIN is a stop-frame animated 360° fulldome film exploring the relationship of light, sound, and space. The music for all four films will be performed live in the planetarium by composer Thad Anderson. Diana is an award-winning multimedia artist specializing in immersive and architectural media. She creates immersive experiences inspired by personal, introspective moments that have challenged her perception. Her work has notably been exhibited at the Virgin Airways clubhouse at LAX, Light City Baltimore Festival of Lights, HUBweek: A Festival for the Future, the Director’s Guild in Los Angeles, Burning Man Festival, Bonnaroo: Pageant of the Cosmos presented by Adult Swim, RiverRun Film Festival, Punta Y Raya Festival, and Anima Mundi. To view the 2018 calendar of Fulldome movies CLICK HERE. If you would like more information about tickets, CLICK HERE. We would like to extend a special Thank You to our supporters of the Fulldome at Macon Film Festival. Take a look at last year's premier film, Stardancer's Waltz. Video provided by the Telegraph.